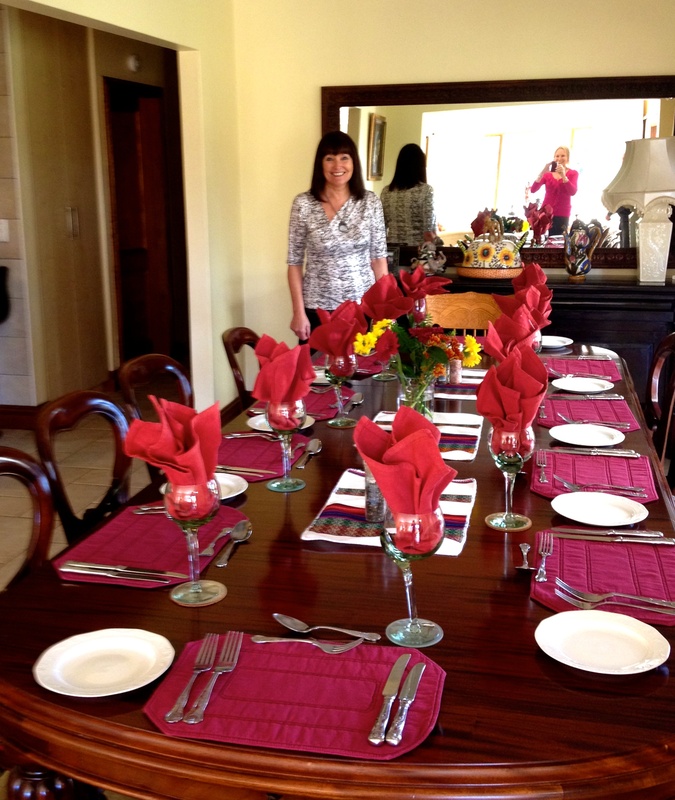 On my Birthday, I took a break from sorting and packing, and off we went to meet my sister for High Tea at the Oyster Box. Here are a few pics of our splendid afternoon there, sipping sparkling wine, drinking tea from fine china cups, and sampling the many delights from the buffet. This amazing hotel is going to feature very high on my nostalgic memory list when we leave this lovely bit of paradise. 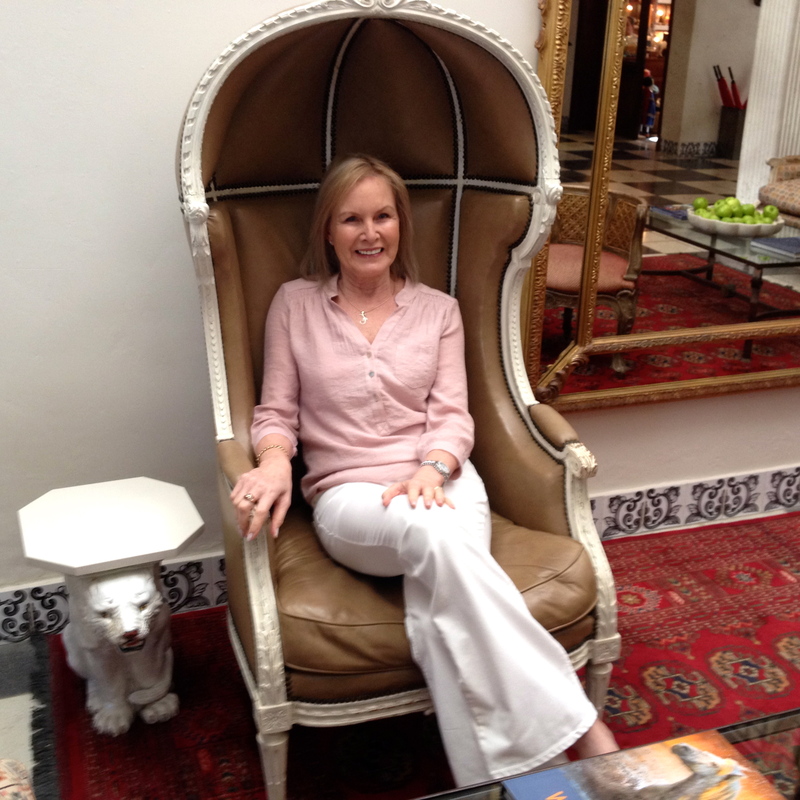 Me on my ‘Birthday Throne’ in the foyer. Click on any photo to see gallery. Squeeze up a bit, and there was room for both of us. Where do I begin? Start at one end and work your way round until you’ve sampled everything. This lady tickled the ivories so beautifully. Elegant chandeliers which once graced the Savoy Hotel in London. One sparkler on my cup cake. I had to get a photo of me with the lighthouse. 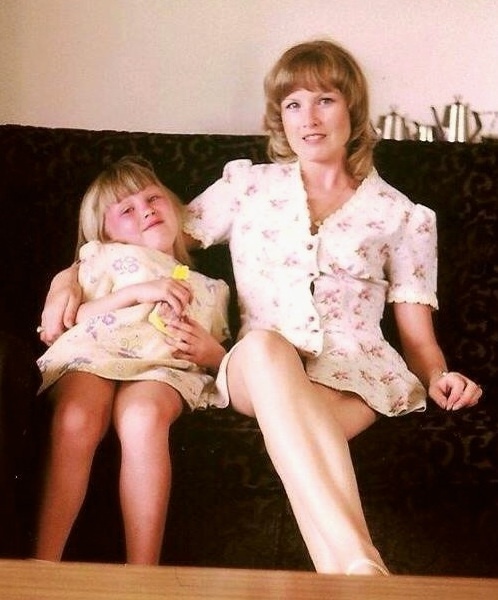 When I opened my birthday greetings on FaceBook, I saw that my daughter had dug up a photo of the two of us, taken over 40 years ago. How’s that for nostalgia? I can recall making those dresses, as though it were yesterday. 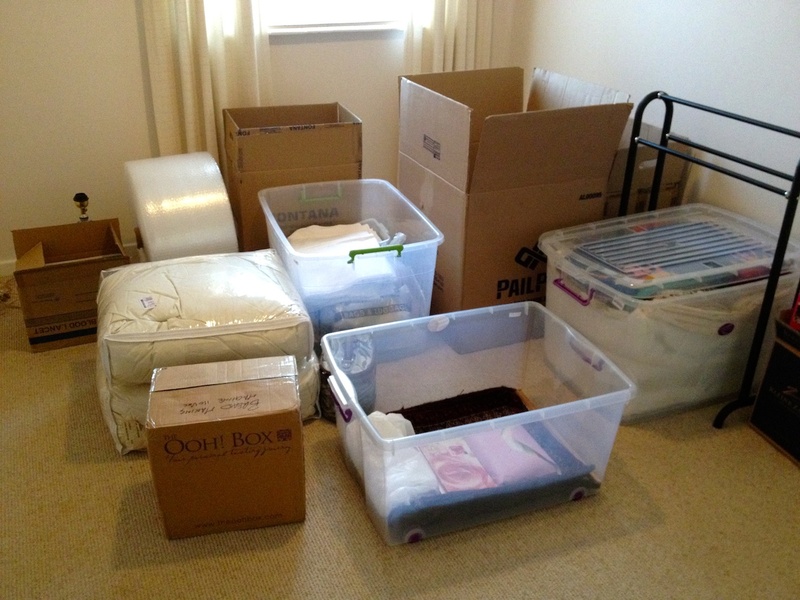 Only two more sleeps in this house, and then the removals people come to pack up all our stuff to go into storage. I have butterflies in my tummy. 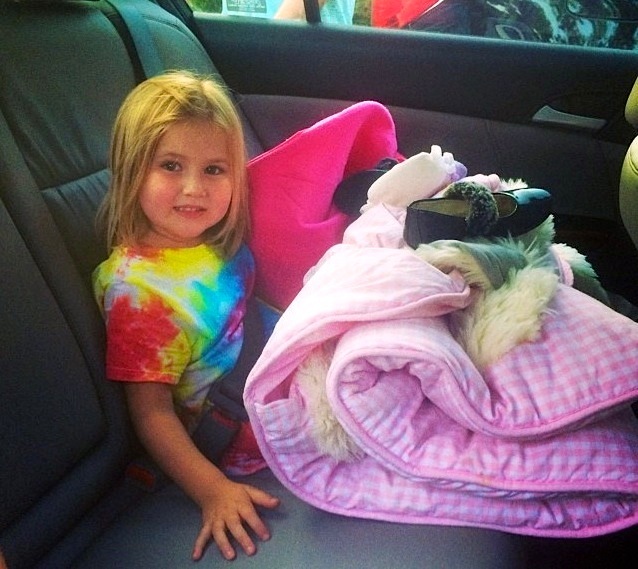 Wordless Wednesday: All set for her first Sleepover. Little Taylor was so excited about her very first sleepover. She was all ‘packed’ and ready to go, hours before she was due to leave home. Hands up if you remember this song sung by Lesley Gore in 1963. Well, if you danced to this as a teenager, then you’re probably about the same age as me. She had made delicious prawn cocktail starter, followed by a classic Beef Stroganoff with rice and delicious roasted vegetables. 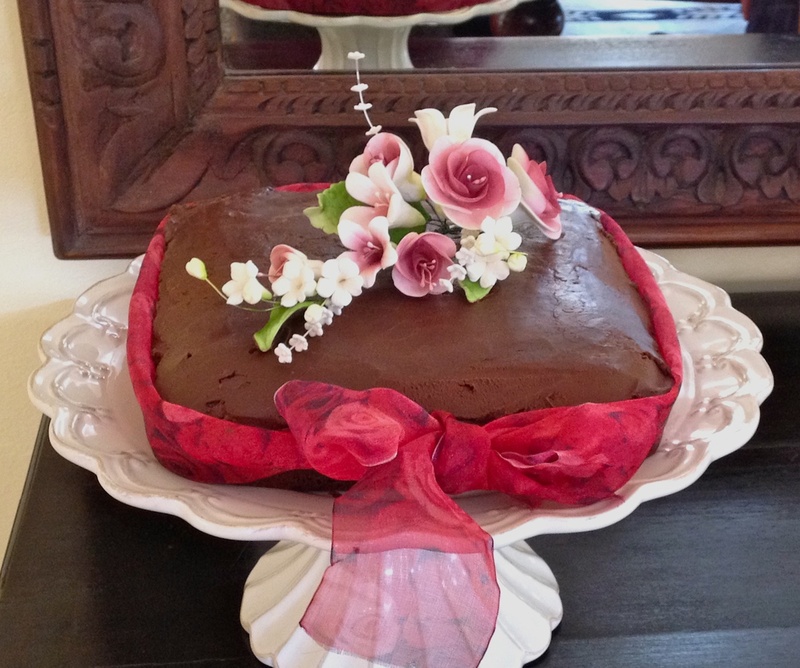 Dessert was Crème Brûlée, which was absolutely sublime, and then came the crowning glory; her gorgeously decadent Cleopatra Chocolate Birthday Cake. You have to taste this to believe it. The topping is pure, undiluted, melted chocolate. It had only one candle, which wasn’t too difficult to blow out, except that the people taking photographs kept making me laugh, so it took a while. The conversation around the table was both lively, and at times, totally hilarious, and we all had so much fun. 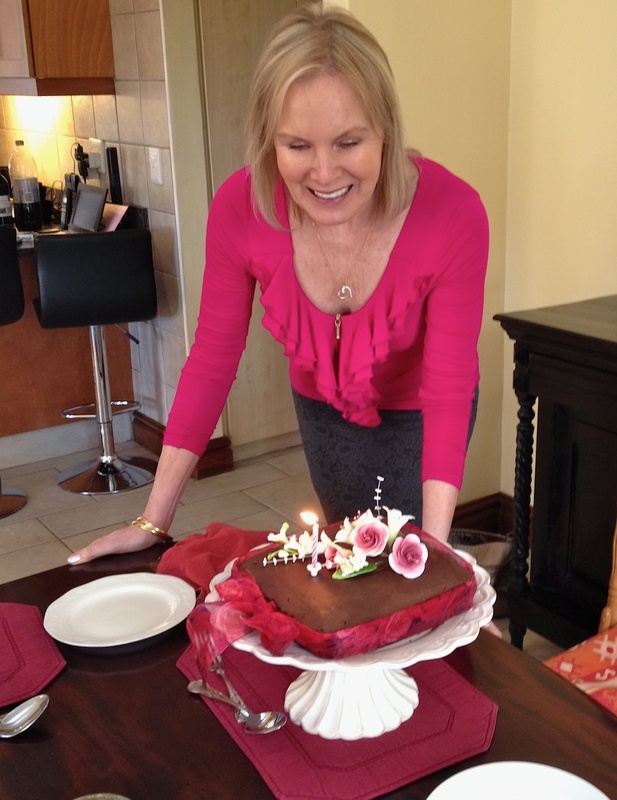 Today is my actual birthday, and we’re going to have ‘High Tea’ again at The Oyster Box Hotel. My sister will be joining us too. I’m so excited with my birthday present from hubby, which is three of her Gustav Klimt style paintings, some of which which I showed you the other day for Ailsa’a Travel Theme. They will be lovingly packed up with the rest of our furniture and have pride of place in our house in Florida. He also bought me some potent-sounding anti-aging cream, which I’m hoping is a miracle in a jar. I have lots of other lovely pressies, including from my daughter, a night for two in an ocean terrace room at the gorgeous ‘Oyster Box Hotel’, a spa manicure and pedicure from my son, and various edible and inedible treats from friends. Last night I had a long Skype conversation with the family in New Jersey, who all sang “Happy Birthday to Granny.” So very special. Now, you’ll have to excuse me if I disappear for a while to make the most of my special day. This coming weekend, we move out of our home and into the one we’re renting for the month of August, so I may not be around quite as much as usual for the next few days, but I’m sure I’ll find time to do a couple of posts in between all the packing. Have a great week. 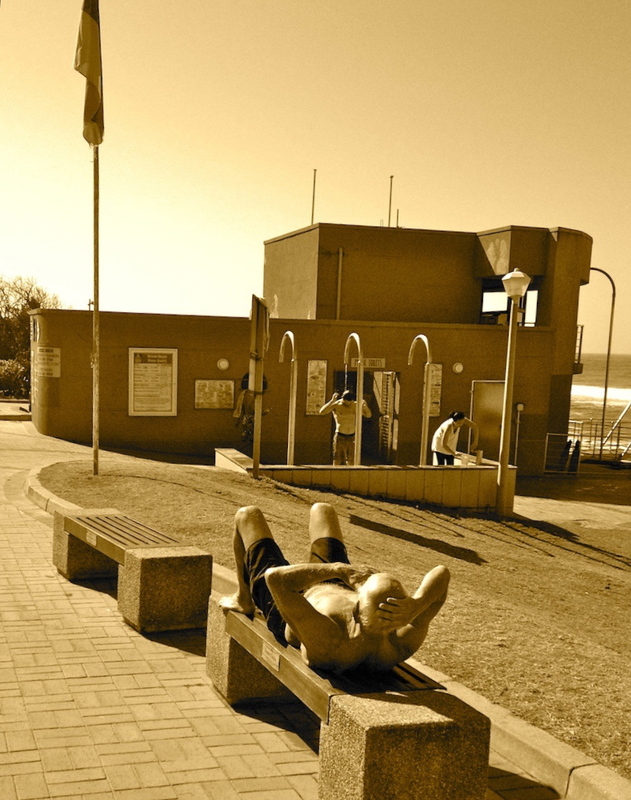 Sepia Saturday: Not the most comfortable of resting places. Whilst on one of my walks, I noticed this bench near the lifeguard station was being used for a spot of sunbathing. Not the most comfortable place to lie down on, and when he gets up, he’s sure to have a few interesting lines down his back. After seeing this, I started thinking about people who have no choice but to use public benches as makeshift beds. I’m sure we’ve all seen and pitied homeless people sleeping on park benches, and thought that it must be really difficult to get a good night’s rest on such a hard surface. I did a bit of research, and found out that some countries are making life even more difficult for these unfortunate people. For example, Honolulu, in an effort to reclaim its parks, beaches and bus stops for general pubic use, has replaced its benches with round stools just big enough for one person to sit on. Tokyo’s oldest park, Ueno Onshi, has come up with a rather unconventional design for the meagre few benches it provides. These have a steel partition down the middle, and the seat slopes downwards so that in order to not fall off, one has to place one’s feet firmly on the ground. Another type of bench designed to deter the homeless, is a hard tubular bench which is cold in winter and hot in summer. I found a happier story about some benches in Vancouver, which have been designed to fold out into miniature shelters at night. After all, shouldn’t cities, instead of working to make life even more untenable for these unfortunates, rather be asking themselves why some of their populace have no roof over their heads, and have to sleep out in the open? Shew! All this thinking on my part came about from just one shot I took yesterday. I think I need to relax now. Wishing you all a great weekend. 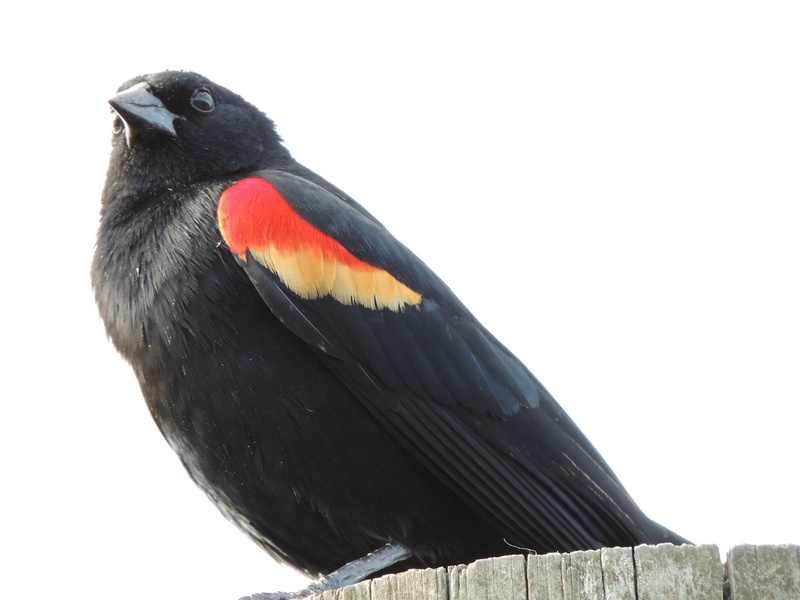 Charlotte of ‘Prairie Birder’ blog, hosts a ‘Feathers on Friday’ challenge. This week, I am featuring one of the many birds I saw in Florida. This handsome bird looked so proud of himself as he posed for the photo. I think he was showing me his best side, don’t you? I was reading that according to studies which have been carried out, the left side of the face is rated and perceived to be more aesthetically pleasing than the right side. Examples of iconic portraits showing that some famous artists also believed this to be the case, are Andy Warhol’s ‘Marilyn Monroe’, Vincent Van Gogh’s self-portrait, and Leonardo Da Vinci’s ‘Mona Lisa’. In each of these, the artists painted their subjects, featuring the left side of their faces. So remember, like this Blackbird, to show your left profile when someone next takes your photo. To take part in Charlotte’s challenge, just follow this link to her blog. A person can see some really interesting things when looking through windows. I try not to peep through house windows as I walk past, but sometimes the temptation is just too much. 🙂 I guess it would be very cheeky to take pics of the inside of someone’s private dwelling, so I haven’t any of those. 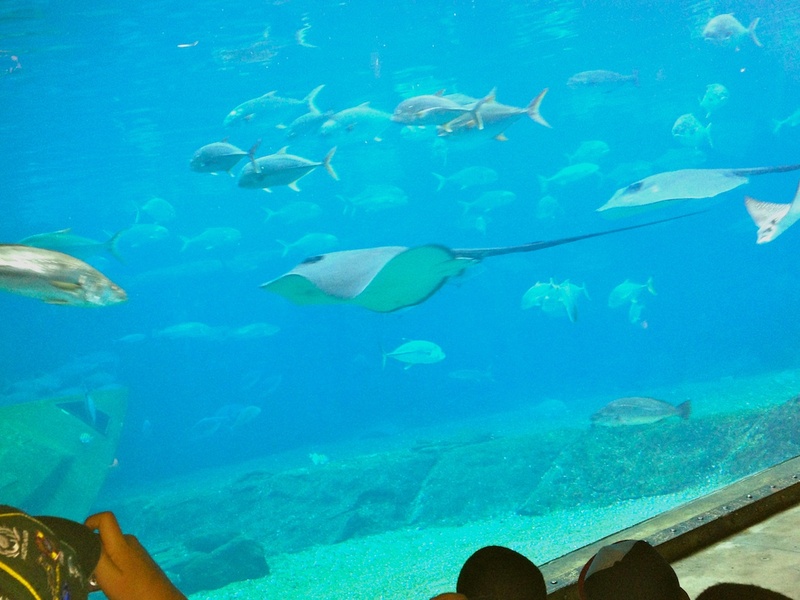 Of course, at the aquarium there are lots of windows to protect the viewers from the occupants of those glass cases. 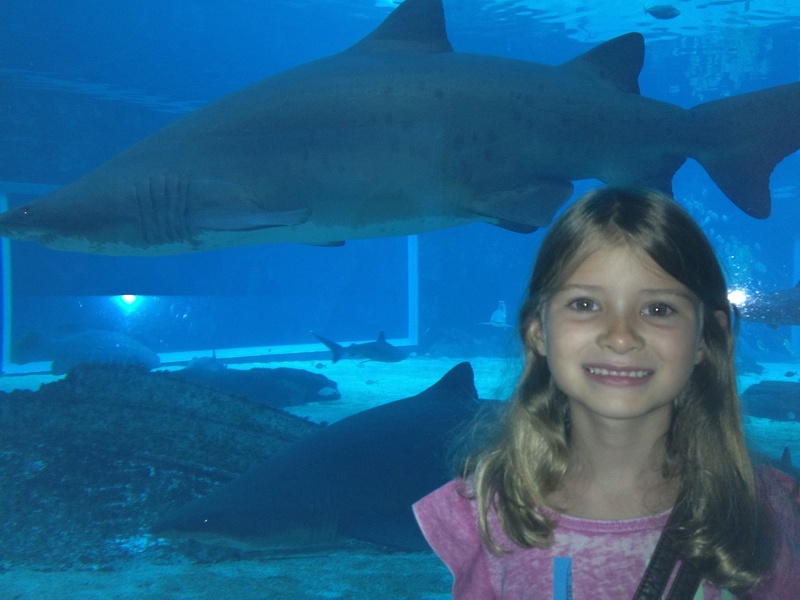 Little Sienna can smile, knowing she’s quite safe from the huge shark only metres behind her. Spectators can happily take photos of the Manta rays, and a host of other fishies. Whatever did man do before the invention of glass? It’s such a useful material. Did you realise that it’s been around since 3,500 BC? 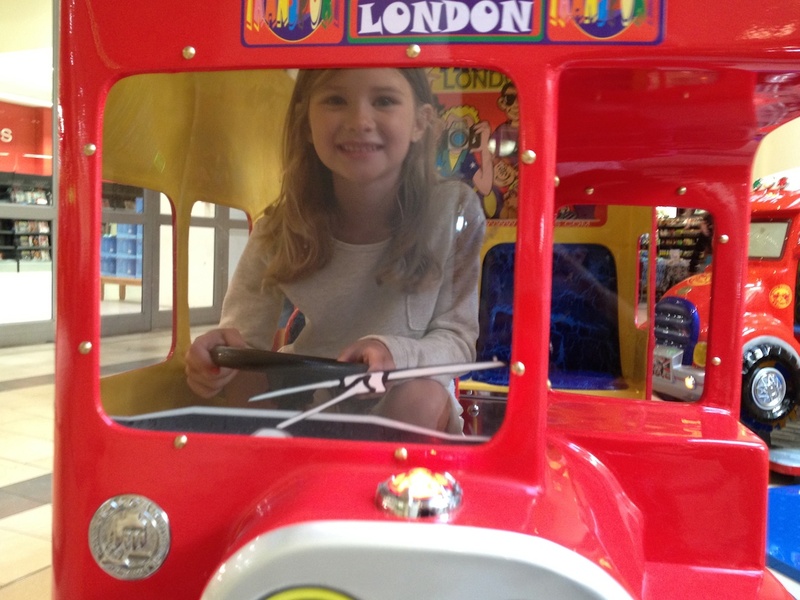 I bet Sienna never thought she’d be able to drive a London bus when she visited South Africa. 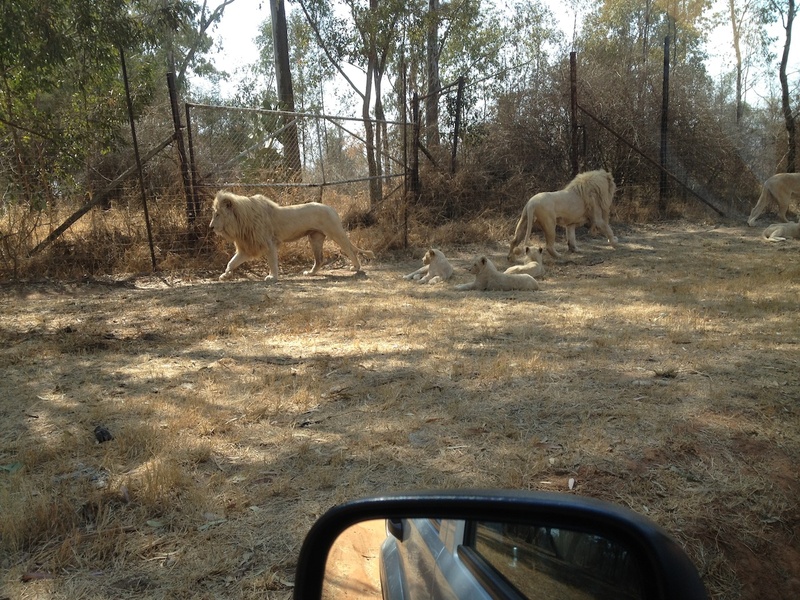 Here’s a view from the car window, which is not at all surprising when visiting the Lion Park. Finally, when taking a pic of the signs for sale at our local hardware store, I got lots of reflections through the window. 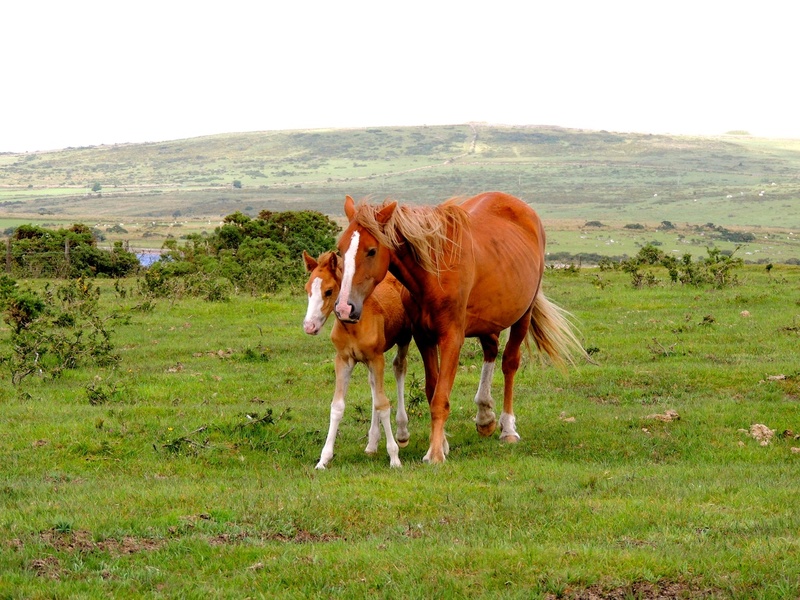 To see more entries for Ed’s Sunday Post challenge, just click on the link..
Bodmin Moor is so beautiful, but seeing this lovely family scene, made it even more so. I have a few pics for Cee’s Fun Foto Challenge this week. 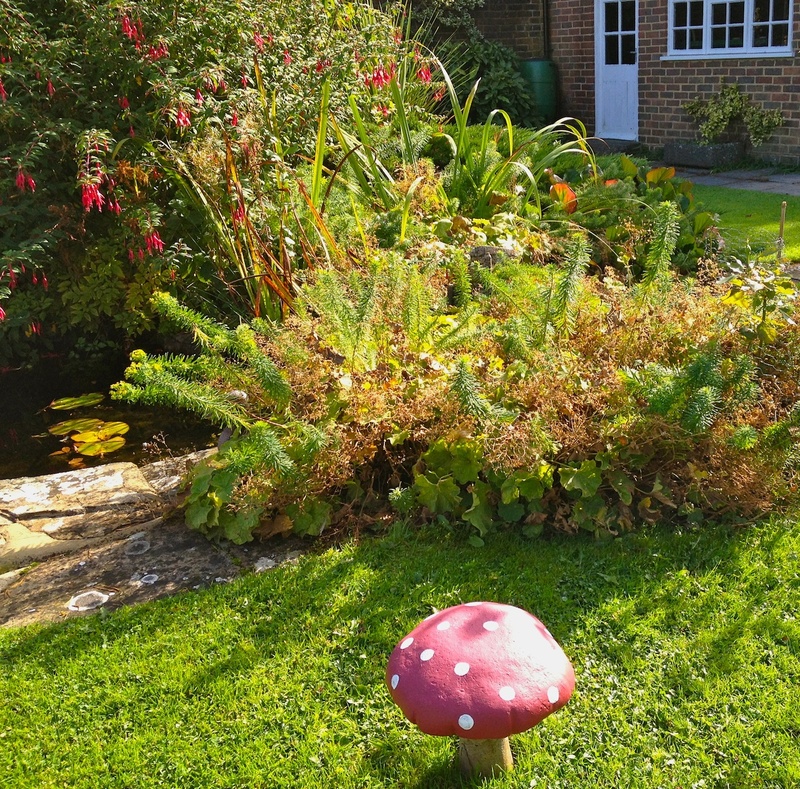 So many objects are round, or simple curved, and this little fairy toadstool in my MiL’s garden, seems to perfectly fit the bill. 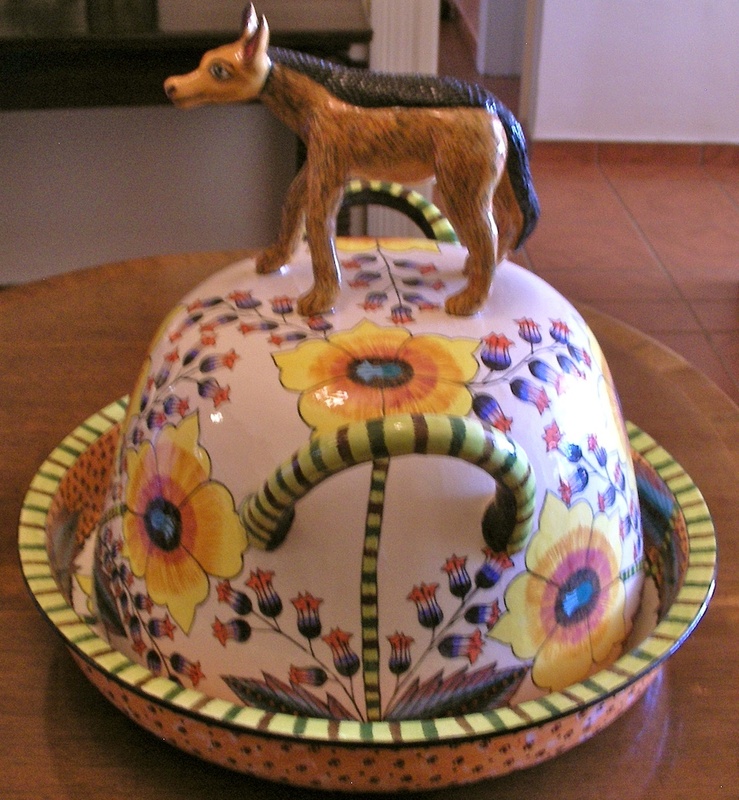 This vibrant piece of Ardmore ceramic art, always catches my eye when I visit my sister. 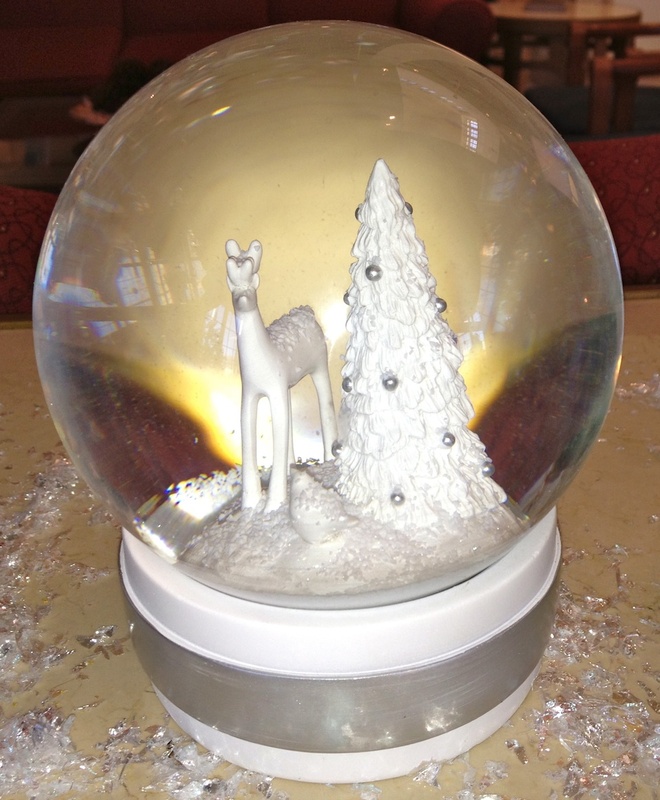 This gorgeous Christmas snow-globe ornament was in the foyer of a hotel we stayed in on our journey from Florida to New Jersey, last December. To see more entries for Cee’s FFC this week, just click on the badge below. ‘Zulu Tradition’ for Sue’s Word A Week Challenge. 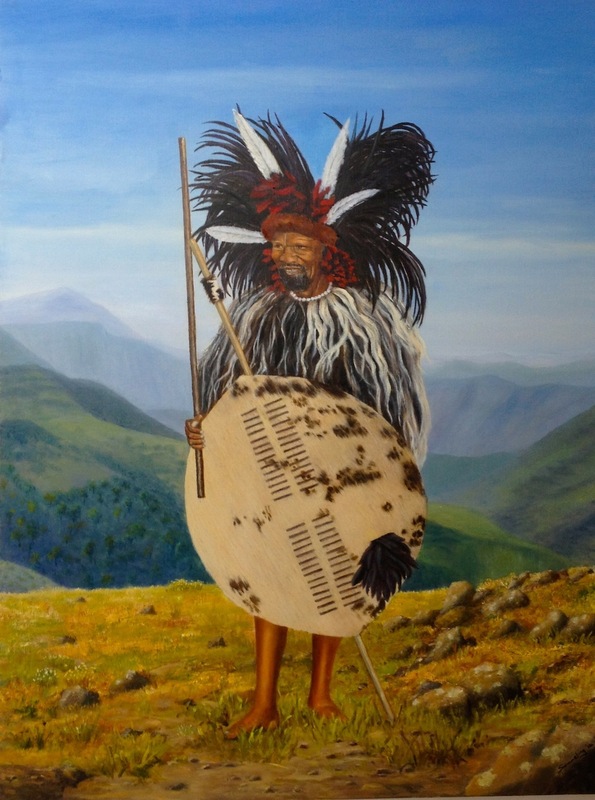 For Sue’s photo challenge, ‘Tradition’, here’s my sister’s portrait of a Zulu King in traditional dress. The shield which is made of Nguni cowhide, can be turned into an offensive weapon. Warriors were taught to catch their own shield behind that of their opponents in order to thrust it out of the way, exposing the warrior’s body to attack. Around his shoulders, he wears a cape, fashioned from cow tails. His amazing headdress has black feathers from the Sakabula (Long-tailed Widowbird), and white Ostrich plumes. In his right hand, he is holding the ‘Izinduku’, the traditional Zulu fighting stick. 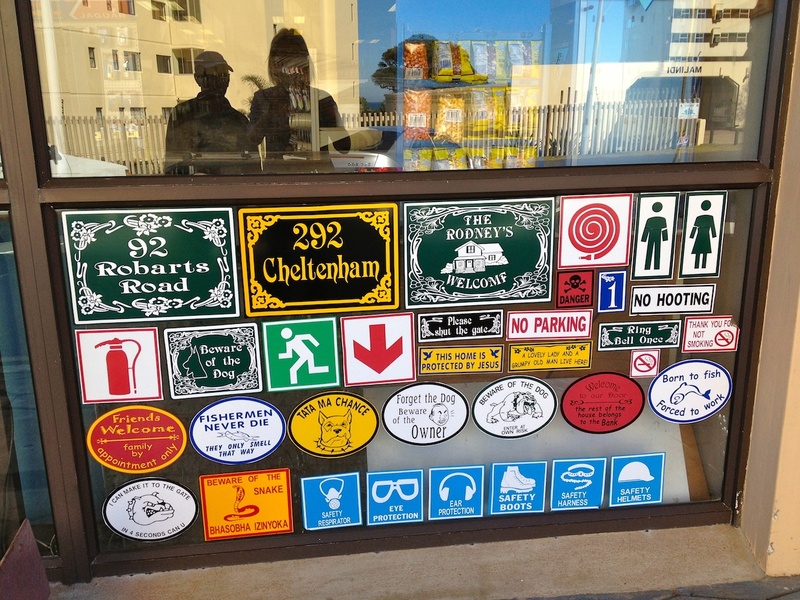 To see more entries for Sue’s ‘Word a Week Photograph Challenge‘, just click on the link. 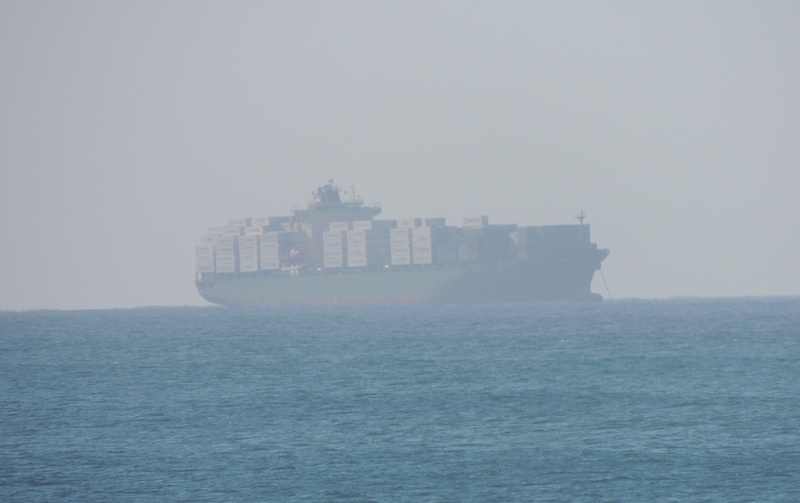 Every day when I look out of my bedroom window, I see container ships full of cargo. Sometimes they seem so close that I feel I could reach out an touch them. Well maybe, not quite, but our neighbour’s son and his friends could certainly swim out to it. This one is empty of containers, judging by the height of the Plimsoll Line above the water. It was quite hazy this morning, so some looked quite ghostly. I hope those containers are well secured. They look very close to the edge. 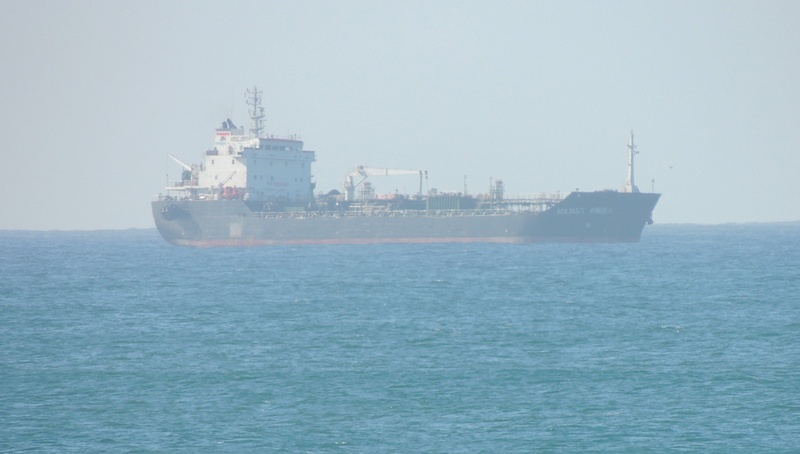 The Anuket Amger is an oil and chemical tanker. 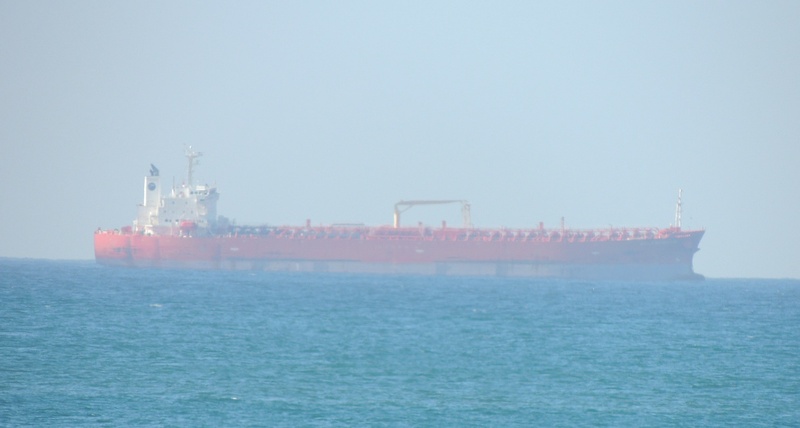 The Min Rui is a general cargo ship from Hong Kong. 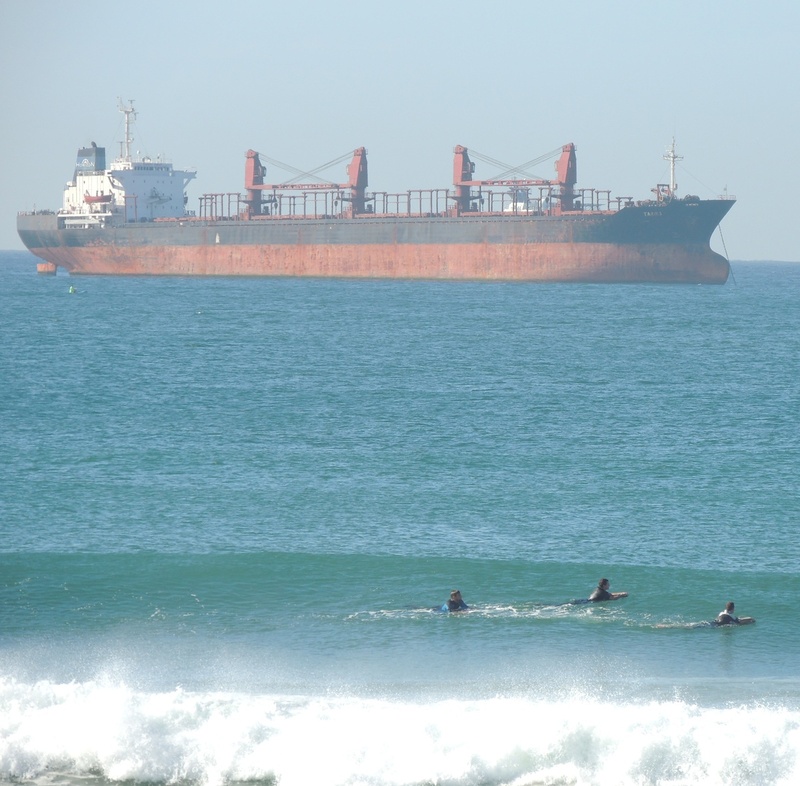 I wonder what it’s bringing into Durban Harbour. Most probably cheap clothing, which tends to last for only one season. 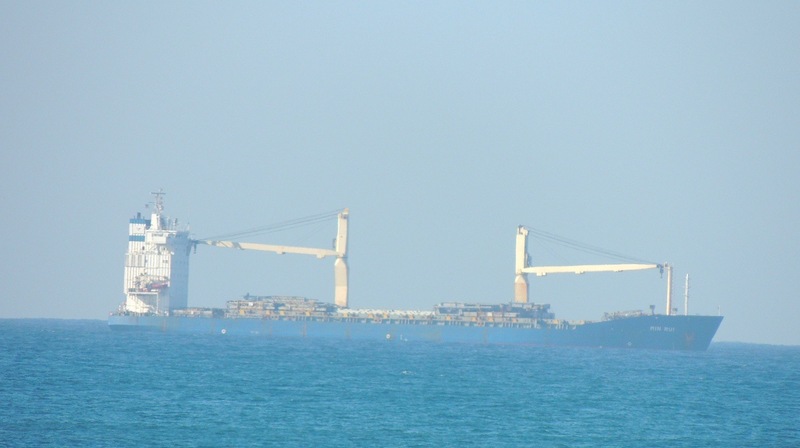 These ships can sit motionless for days on end. We have regular strikes here, so the port is often very congested. At the present time, I’m more concerned with a different sort of container. 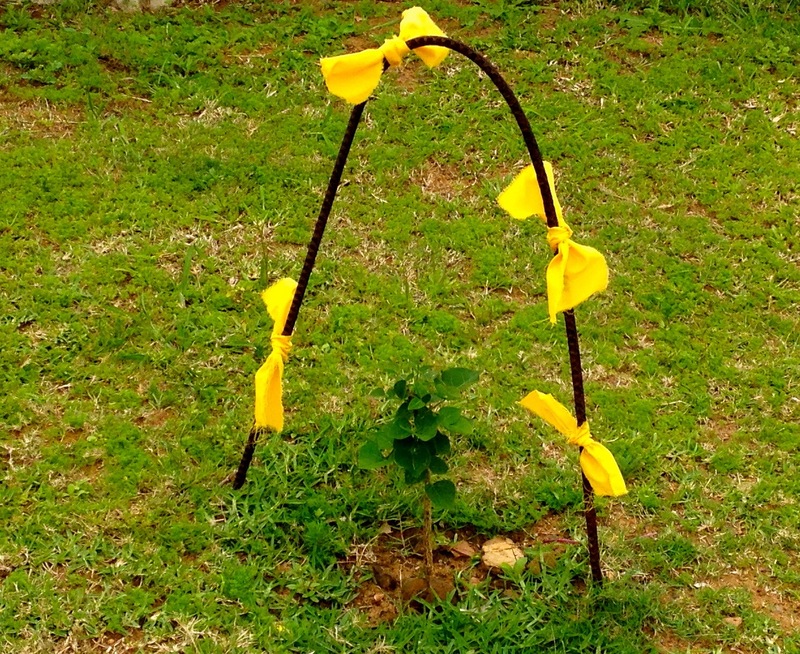 These have started sprouting up in one of the bedrooms. 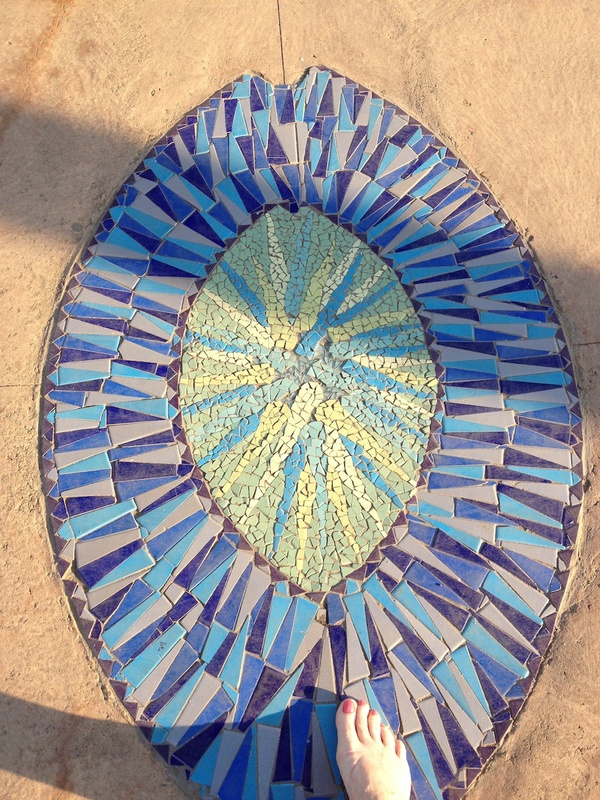 To see more entries for the Photo Challenge this week, just click on the badge below.